Shriners Hospitals for Children Gets First Edition of Chad’s World | Valley Communications, Inc.
Newcastle, CA – January 10, 2014 – Authors Ahrynn and Josh McCann, a dynamic sister/brother duo, delivered 200 books to Shriners Hospitals for Children. “Books in actual print form remain an important and popular way for us to help calm and reward children who visit Shriners Hospitals for Children-Northern California for ongoing treatment, evaluation and initial appointments“, said Alan Anderson, Director of Development for Shriners Hospitals for Children. Chad’s World is about a Drapturous named, Chad. The new children’s book series addresses topics such as friendship, self-confidence, inner beauty and the acceptance of oneself and others. The books will be placed at the Shriners’ outpatient clinic the umbrella for 39 clinics that treat more than 20-thousand children per year. The gift of Chad’s World to Shriners Hospitals for Children was made possible by Valley Communications. “We know how demanding treatments and testing can be on children, so everyone at Valley Communications wanted to sponsor Chad’s World, a book full of color and adventures, so children can dream and explore new things,” said Ken Hurst, President of Valley Communications, Inc.
Chad’s World addresses the nation’s challenge to develop early literacy among school-aged children by helping age 5-7 transition from learning to read to reading to learn. The series comes with lesson plans for parents and teachers and includes an interactive website designed to keep children engaged in the process of learning. 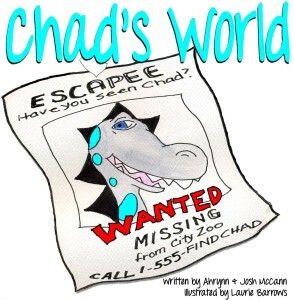 Chad’s World is available now online at chadsworld.org and Chad’s World; Space Camp will be available, this spring.